Regular readers of the dividend and income section of Seeking Alpha may have noticed that real estate investment trusts (REITs) have gotten a lot of exposure in recent years. I guess the reason for that is relatively straightforward: in a world of record low interest rates any asset with a reputation for reliable, high yielding income is going to stand out. Since most folks tend to think of rental income as being pretty solid then investing in a REIT is a simple way of getting exposure. Though there’s probably higher risk than some commentators make out, one of the better REITs for long-term investors is Public Storage (NYSE: PSA). As its name suggests PSA is in the business of offering self-storage solutions to the general public. At the end of 2016 its portfolio comprised 2,567 self storage properties covering a total of just over 165 million net rentable square feet. 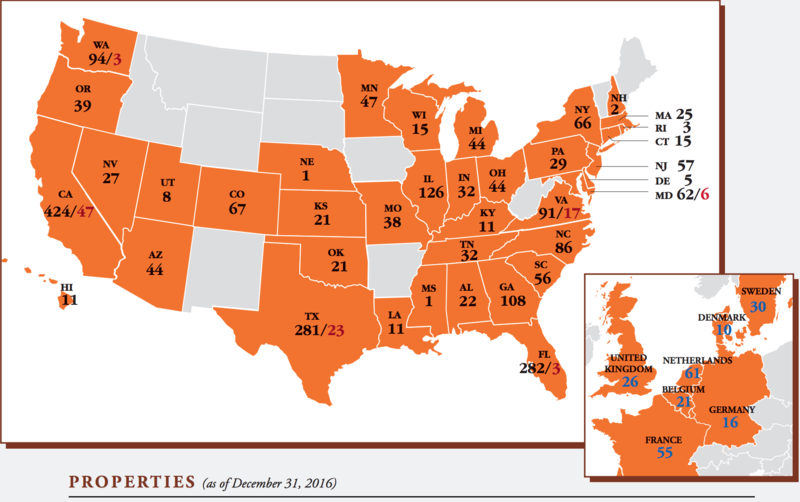 Approximately 90% of its properties are located in the United States with the remainder spread across several Western European countries. As far as I can see there are five major reasons for picking PSA above its REIT peers. The first is that generally speaking self storage business are incredibly easy to understand. At its most basic level you simply own a plot of land, build out some storage units and then rent them out to Joe Public. That’s it. Operating costs also tend to be pretty low here for obvious reasons (e.g. you don’t need dozens and dozens of employees to manage a block of self storage units). According to company figures it requires around a 30% occupancy rate to break even. At the end of 2016 PSA’s occupancy rate in the United States was something like 95%. In other words if you’re looking for comfortable and uncomplicated cash flow then Public Storage looks like a decent bet. The second point, which links to the first one above, is that PSA has proven to be a pretty stable cash generator over the years. Between 2012 and 2016 for instance the company generated just over $8 billion in cash flow from operations on the back of $10.9 billion in revenue. Unsurprisingly the dividend history is also pretty stable here. Since the turn of the century the quarterly distribution has risen from $0.22 per share to $2 per share without ever suffering a cut. Thirdly, self-storage seems to be relatively capital light compared to other types of real estate. Usually the best dividend stocks have low ratios of capex to operating cashflow, and PSA is no different in that regard. Even the larger or more complex warehouses (e.g. climate control) are pretty basic to assemble and it’s not like units require lots of maintenance capex either. Fourthly, PSA probably avoids some of the major pitfalls that tend to affect other real estate businesses. For a start self-storage seems to be a lot less cyclical than more traditional real estate (check out PSA’s performance through the 2007/08 housing meltdown for example). Also self-storage seems to be immune from certain secular changes that some other REITs may be exposed to. For instance, with online retailing only growing in popularity you might want to avoid exposure to certain types of “bricks-and-mortar” retailers. Self-storage on the other hand seems like a more “timeless” industry: it is something that businesses and the wider public will always need. 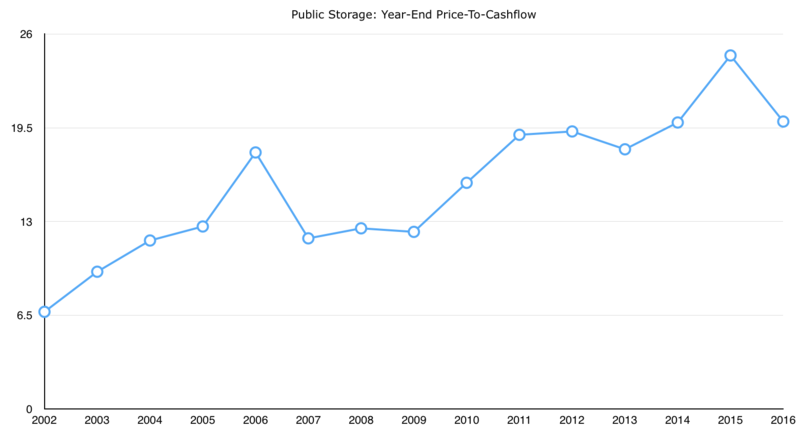 Finally, Public Storage has one of the most conservative balance sheets in its peer group. Historically it has tended to favor retained cash flow and preferred shares as sources of expansion funding rather than debt, something which stretches all the way back to one of the founders who disliked loans. Net debt has grown in recent years, but at 0.25x annual cash flow it still only represents a tiny part of PSA’s capital structure. If you’re looking at PSA in the first place then it’s fair to assume that you are probably looking for income. In that regard a healthy looking balance sheet is going to appeal a lot more that a highly leveraged one. That basically covers the main reasons why you may want to consider Public Storage ahead of other REITs. The short version: it has a simple underlying business; a very strong balance sheet; it generates a bunch of recurring cash; and, being a REIT, it tends to send a lot of that cash to shareholders. The only major downside? It looks incredibly expensive these days on both an absolute and historical basis. 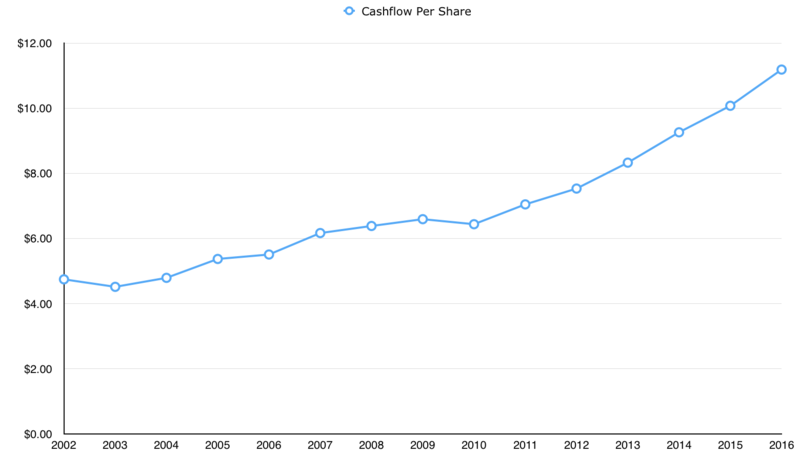 Right now PSA is trading for roughly 19x annual cash flow, well ahead of its recent historical average. As far as I can see that kind of valuation throws up two major risks. The first is any changing macroeconomic environment that would usher in higher interest rates. As mentioned above PSA’s balance sheet is virtually pristine so higher interest costs are probably not going to have as big a drag on the fundamentals as with other REITs. The risk is that REITs become less attractive relative to more conservative income producing assets, the upshot being that their valuations start to fall. Not much to worry about from an income point of view, but it may be if you have an eye on PSA’s current $215 stock price. The second risk comes from land prices. Although it is tempting to view self-storage as distinct, we are still dealing with real estate here. In other words the economics of land still apply. If prices were to fall then that could affect the rent that PSA is able to extract from its units. For income seekers those two points might not represent much of a deterrent these days. It is all well and good sitting on the sidelines with a pile of cash, but a lot of folks need income now. In that sense the current 3.7% yield might still look somewhat attractive. 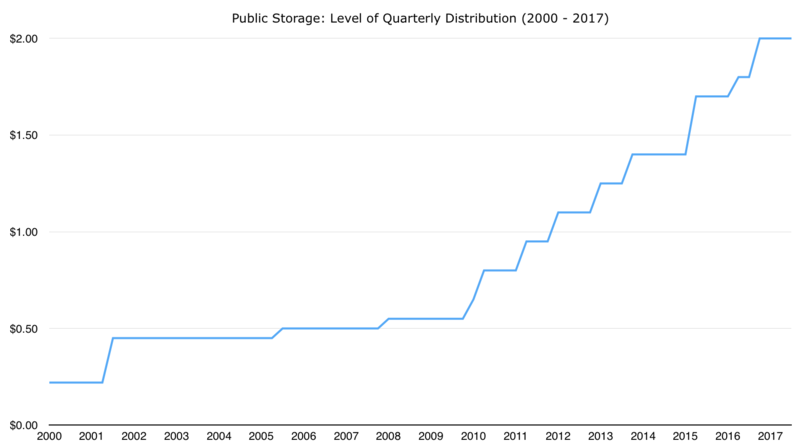 The outlook for self storage is relatively predictable: demand will probably continue to grow, and being a highly fractured industry means there’s still a decent chunk of the pie left for PSA to grow into. It is expensive, and it’s not without risk, but PSA is still one of the highest quality REITs you can buy.